Imagine the call from our family of loons. Laughter from the heart in frolicking swims. Reflections on your own Great Camp deck and the welcoming aromas from an iconic kitchen. Your sensory destination awaits. A serene beach for quiet reflections and frolicking swims. Lakeview Lodgings and Great Camp Dining flavor breathtaking mountain-lake sunsets. An Adirondack destination where serenading loons welcome you, family-fun adventures abound, and where your elbow room is 25 acres large. 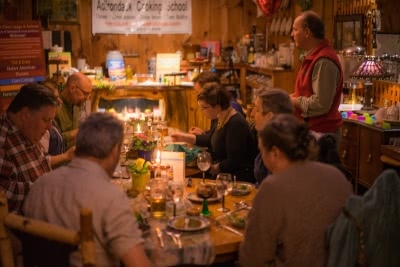 Meander our nature trails, savor a History of Adirondack Food Tasting Dinner, take home a sprinkle of wellness with a traditional foods cooking demo, or gather for a rainy day Creative Learning Workshop. Did we say anything about paddling, hiking, biking, and living the lore with s’mores and stories of the Adirondack Great Camps from 4 generations of family? Welcome to a 18,000-acre summer playground: a Great Woods Connector to New York State’s only wilderness canoe area, historic villages, and the Olympic region. 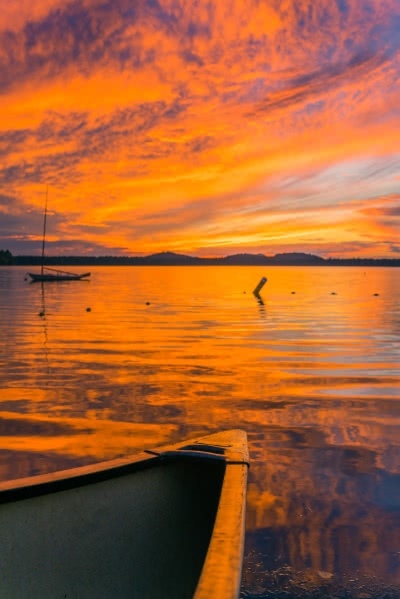 Our Adirondack vacation packages can be your imaginative haven of reconnection and discovery. Immerse yourself in one of the last of its kind: a Great Woods & Water lodge where your room is not measured in feet, but in rejuvenating acres. This is what the iconic Great Camps were about: to meander you around and show how majestic and massive the Adirondacks were, and to immerse you in the ambiance of the Sylvan woods and water. They wanted you to interact with its nature, to discover theirs and reconnect with yours. They were cruise ships on land with a host of formal and informal experiences with the centerpiece being dinner as friends and family time. A reconnection where the immersions of the day energized the conversation. 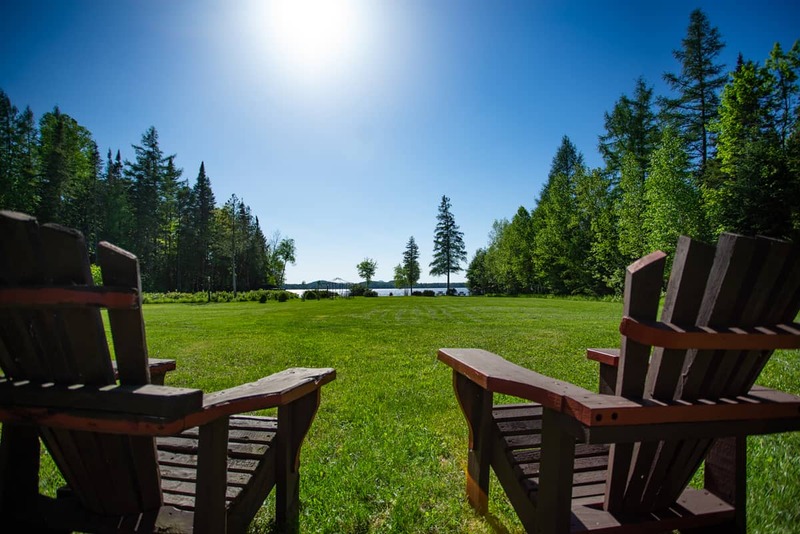 Our summer getaways range from beach and lake activities to Adirondack Great Camp dining where you can explore the "hidden" beer and wine cellar in the Speakeasy. 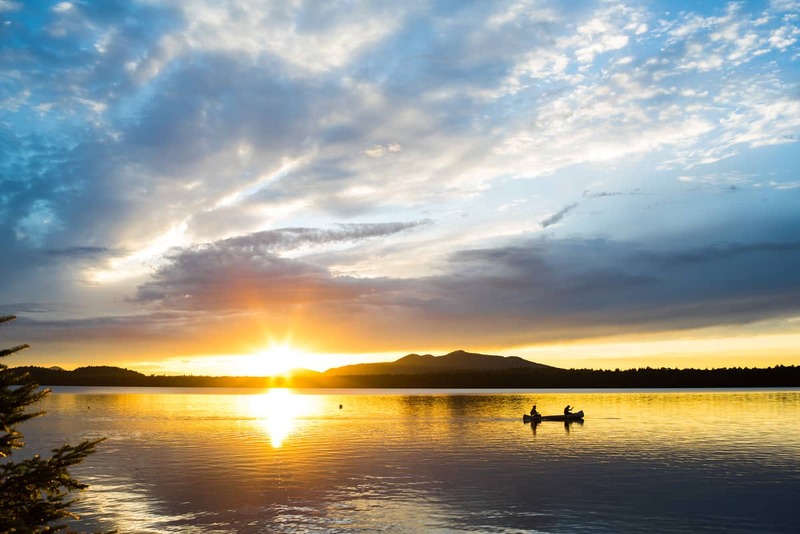 Immerse yourself in one of the world’s most spectacular mountain-lake sunsets after finishing off a day of discovery at a number of area attractions like the Wild Center, Olympic sights, ziplining, horseback riding, the Adirondack Carousel, rustic artisan studio tours, and so much more. 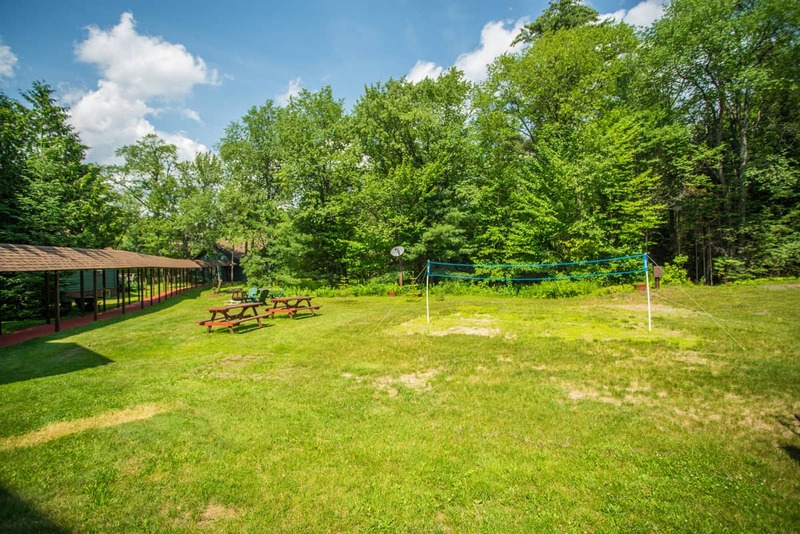 We combine this iconic Adirondack Great Camp woods and water experience with several immersive experiences for the family, adventurer and those seeking to reconnect. 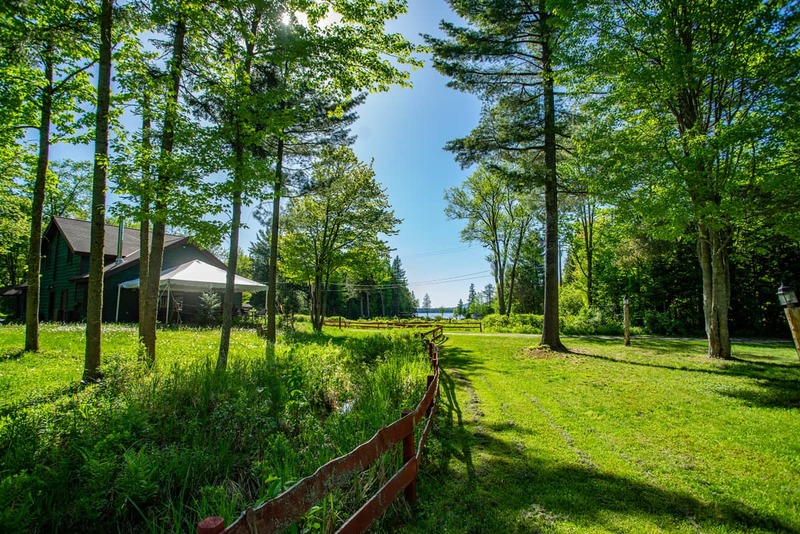 Everyone’s lodging and getaway package encourages discovery of our 25 acres with nature trails, an iconic 1886 Main Lodge, canoes, kayaks, SUP boards and mountain bikes. The highlight: a majestic beach and Lake Clear swimming area. Paddling in New York State's only Wilderness Canoe Region. Paddling, hiking, biking, and simply soaking in a magnificent sunset. 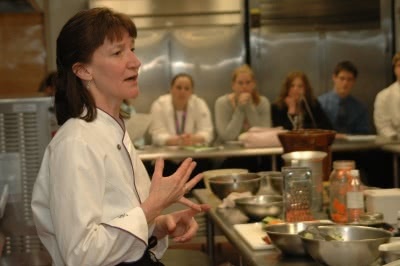 Great Camp dining, 30-minute Traditional Foods Cooking Demos or History of Beer Tastings await. Stories of the Adirondack Great Camps, the Bootlegging Days light up our Bonfire Chats. Things to do in the Area: How much Can Your Imagination Hold? 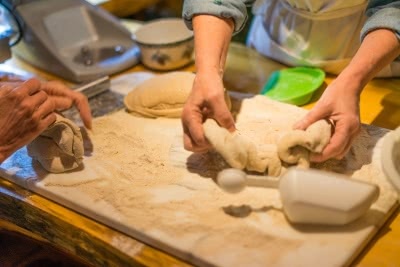 Cooking as Family Time - everyone dons an apron!